Vaping is new and might be healthier than regular cigarettes, but how do you choose the best vape products for you? As a long-time smoker, it’s becoming more difficult to enjoy a cigarette wherever and whenever I want as more places are banning them every day. I’ve been looking for an alternative that will allow me to get the full enjoyment that traditional cigs offer but without the health risks and dangers that are inherent to them. You do know that cigarettes are bad for your health? (I’m talking to you pack a day smokers)…But is vaping safe? And can they help you quit smoking? The truth is, most vape products are safe, but not all of them are created equal. Vaping (or e-cigs, ecigs, vape pens, vape mods) are devices that are used to vape juices and they don’t contain any tobacco,. What these vape products do contain is liquid nicotine. The nicotine solution is heated up with a battery or heating element and this process produces a vapor that you inhale just like a regular cigarette. And the really cool part about vape is the vapor doesn’t have any odor so you can smoke them anytime, anywhere! Well almost. Why should I even try vapor? Are they safer and healthier than traditional cigarettes? Vaping and ecigs are the next big thing because, not only are they tasty and fun, they offer a safer alternative to smoking. In fact, lots of tobacco researchers are working tirelessly to prove that vaping is much safer than traditional cigarettes and super helpful in quitting tobacco use. What’s more, one study shows 31 percent of ecig users quit smoking within six months of switching over. So Ecigs and Vape Products are safer, healthier, and allowed pretty much everywhere. There’s gotta be a catch, right? I’m a very skeptical person as well, and I guarantee you, there’s no catch. In fact, the electronic cigarette and vaping market is exploding worldwide, and especially in the United States and the UK. So many people are making the switch to vaping, the big tobacco companies are taking notice. Some big tobacco companies are even getting into the vaping game. Regardless of what you call them, the sale and consumption of electronic cigarettes or e-cigarettes are big business in the US, and it’s only getting bigger. 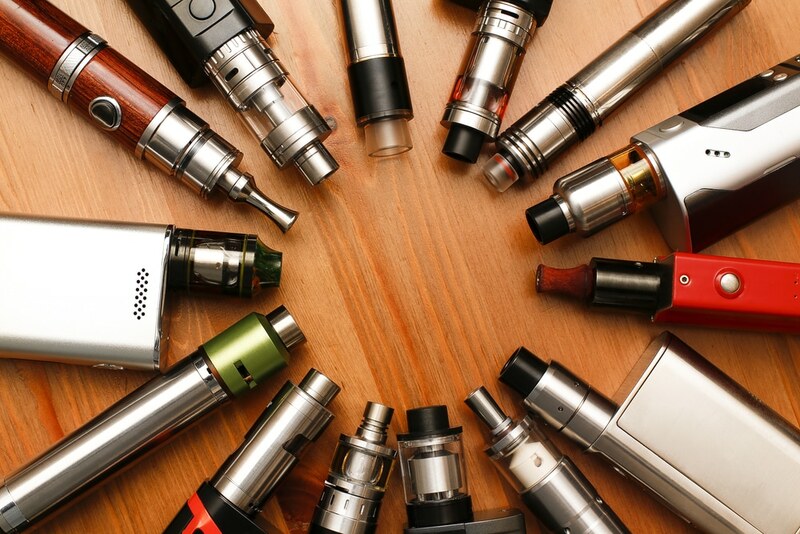 For many people, these devices represent a mainstream alternative to the cancer-causing combustible cigarettes the US has worked hard to eradicate over the course of several decades. For others, they are a nuisance and public health hazard that should carry the same level of contempt as regular cigarettes. 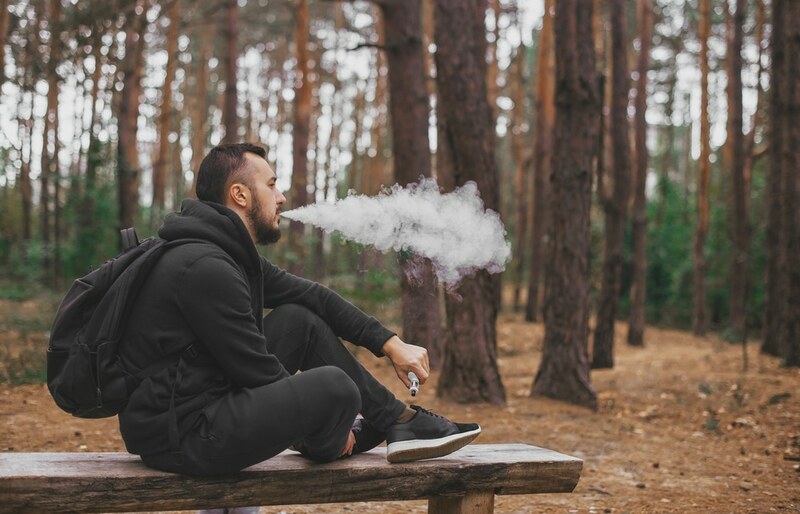 More than a decade after their release in the US market, there are plenty of unknowns, even as more Americans, and particularly young Americans, take up the practice often referred to as vaping. Let’s take a look at electronic cigarettes, including the economics, ingredients, and the risks and regulations, and perhaps dispel a few misconceptions along the way. The US market saw the introduction of e-cigarettes in 2007. Those early products mainly consisted of battery operated, look-alike versions of the real thing. These initial e-devices were also disposable – good for a specific number of puffs – and came in a handful of varying flavors. Beyond that, the only real difference between the e-cigarettes and the manual version was the latter method requiring a lighter to ignite it. Since that time, the term e-cigarette has become a general reference that encompasses two different segments of the digital smoking business. The most common type of e-cigarette continues to be the version initially introduced in 2007. These most closely resemble a conventional cigarette and come in either disposable form or a rechargeable version that uses a wall outlet or USB port. These larger devices, also called tank systems, carry little resemblance to a traditional cigarette. Vape systems can be simple or quite elaborate, and all require a reservoir that contains an e-liquid or “e-juice,” which is the mixture that is being vaped. With few exceptions, all “e-versions” of cigarettes (which includes both e-cigarettes and vape tank systems) contain nicotine. Though by itself its relatively harmless, its addictive qualities can be a powerful lure for many people. Also, you will also find Propylene Glycol(aka PG), a manufactured liquid that is considered safe by FDA standards when used in food, drugs, and cosmetics. This ingredient is also used in fog machines at concerts and can be an irritant to the eyes and lungs. The next ingredient used is Vegetable Glycerin(aka VG). Also safe when used is food and drugs, the FDA is less sure of the effects as an inhalant. The final primary component in e-cigarettes is flavorings. Mainly associated with vaping systems, these are arguably the most distinctive attribute to vaping, as well as the biggest difference from traditional smoking. Basic smoking comes in two flavors, menthol, and non-menthol. With e-cigarettes there are hundreds of vape juice flavors. Flavorings can possess a lot of different ingredients, many that may be unknown or the effects of which when inhaled are unclear. Though unproven, it’s also this multitude of available flavors that some attribute to the youth movement in vaping use. Many liken it to choosing your favorite type of frappuccino. At the end of 2017, the value of the global e-cigarette market was $10 billion. According to a report from P&S Market Research, that value is expected to reach $48 billion by the year 2023. Estimates show the US will account for roughly 40% of that total. Those numbers are without doubt a surprising development to many, particularly when you consider where the US currently stands when it comes to traditional smoking. A CDC report in 2016, showed that the US reached its lowest level of cigarette smoking in decades, with 15.5% of adults over age 18 currently identifying as regular smokers. With some previous reports reflecting that in the mid-20th century close to 50% of the population smoked at minimum a few cigarettes a week, the turnaround in attitude towards the once common practice is impressive. Compare that with the rising acceptance of e-cigarettes and vaping. Currently, several studies put the use of e-cigarettes among US adults between 3% and 5%. However, another 2016 report, also from the CDC, shows that over 11% of high school students and 4% of middle school students had used some form of electronic cigarette within the past 30 days. Those student percentages were higher than any other tobacco product in both age segments, including regular cigarettes and smokeless tobacco. What’s driving this popularity in “digital” smoking, especially at a time when the traditional method becomes more and more taboo? For many, its the allure of an alternative to something long ago proven as a leading cause of cancer. Others have looked to e-cigarettes and vaping as a way to quit the traditional version of cigarettes. This is in spite of the FDA having yet to approve e-cigarettes as an aide to quit smoking. Although the reasoning for adults using e-cigarettes may be somewhat understandable, the increasing use among teens and young adults is a bit murkier. Limited evidence suggests no one reason, though many anti-smoking groups point to the direct marketing of the products to young audiences as a driving factor. 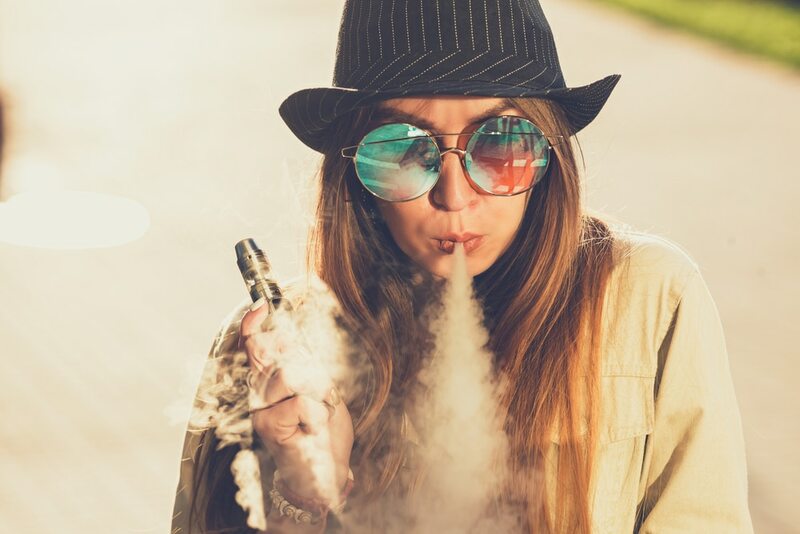 As of 2019, the most popular theories for the large percentages of young people taking up the vaping craze include the numerous flavors the products are sold in, the perception that e-cigarettes are safer than traditional tobacco products, and the simple novelty of “digital” smoking. Vaping one’s favorite flavor aside, the largest area of debate surrounding vaping and e-cigarettes concern health and safety. Though e-cigarettes do not contain nearly the number of ingredients of their combustible cousins, there is plenty of debate as to the health risks when the liquids in an e-cigarette are heated and inhaled. There is a lot of disagreement about the actual risks involved in vaping. While research is still being done, it’s apparent that there are certainly health benefits to vaping over traditional smoking. Perhaps the most comprehensive report on the subject comes from the National Academies of Sciences, Engineering, and Medicine. The 750-page study was pulled together with data from more than 800 separate studies. Assuming a user replaces traditional combustible cigarettes for an e-variety, they can reduce their exposure to the substantial carcinogens in regular tobacco products. There is little evidence to show the exact impact e-cigarettes have on respiratory diseases in adults. Again, much of the uncertainty comes from the newness of the products involved. The impact on long-term health remains the most significant question mark. It seems important to note, however, that if the choice is between traditional cigarettes and vaping, vaping is the much safer choice. As popularity increases for all devices that fall under the e-cigarette label so do the interest from state legislators and whether or not they pose either a nuisance or health risk to the public. From a national standpoint, the FDA does classify e-cigarettes, vaping devices, and related electronic nicotine delivery systems as tobacco products. As such, it prohibits the sale of them to minors. Those same regulations also cover manufacturing, distribution, and advertising, all of which must adhere to the same guidelines that cover other tobacco products. At the state level, vaping regulations are being debated in statehouses across the country with use, sales, and taxation all up for debate. As of the end of 2017, eleven states and the District of Columbia prohibit the indoor and public space use of e-cigarette devices. Many experts anticipate that other states will follow this precedent as the use of e-cigarettes continue to rise. While many eschew the act of lighting up anything containing nicotine, whether its combustible or not, the allure continues for one of society’s most addictive substances. It’s hard to dismiss that many former users of traditional cigarettes have found solace in the digital alternatives to reduce their daily combustible smoking habit or quit altogether. It’s also difficult to explain the popularity amongst younger Americans. It would be short-sighted to label e-cigarettes and vaping devices as the cool thing to do among this generation’s teenagers. The debate will almost certainly continue as the prevalence of e-cigarettes in our society continues to increase. If nothing else, the studies, discussions, and ongoing research do prove one conclusion. As long as nicotine is available to be smoked, plenty of people will continue to possess the desire to smoke it. If you are curious about vaping you probably have a lot of questions. In this post we will talk about some facts about vaping and go over some of the most common questions asked by new vapers looking for information. If you have found your way here you are either a new vaper looking for information on vape devices and tutorials, or you are someone who is looking to make the switch to vaping and want a little more information about it before making the decision to switch. For years we have been told by the medical establishment that smoking causes cancer and heart disease. You may even know someone who struggles with COPD, emphysema or other breathing disorder caused by years of smoking tobacco cigarettes. We know for a fact that smoking is not healthy, it turns your lungs black and causes a host of other ailments such as shortness of breath, wheezing, coughing, and it one habit that is hard to break for a large portion of the population. Vaping, or the act of inhaling vapor from an electronic cigarette, has become a popular alternative to smoking tobacco cigarettes. Vaping advocates say that while vaping hasn’t been proven to be 100% safe, it is less harmful than cigarettes and other tobacco products. Countries like Canada, New Zealand, and Scotland have adopted vaping policies and encourage the use of electronic cigarettes and vaping over smoking. Vaping is a great alternative to using tobacco, but many people are concerned about the safety of it. The news headlines of “exploding vape pens” have swayed many would-be vapers away from using them. Vaping is very safe when done properly and if you exercise the proper care of devices and things like batteries, then you never have to worry about things happening. 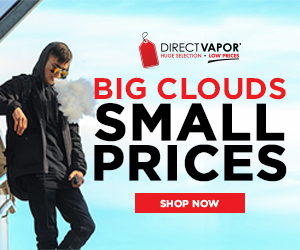 For the person who is looking to make the switch to vaping, the many products and accessories that go with them can be overwhelming to someone trying to figure out what type of equipment to buy. Below are some of the different vapor products and the type of vaper they are the most appropriate for. Someone just starting out will benefit most from something economical and easy to use. After you’ve been vaping a while you may decide to upgrade to something else on this list that will better suit your needs down the road. Backups are good. Why? If one breaks, then you have a backup to keep prevent you falling back into old habits. Moreover, if you order online, you may not something to vape in the meanwhile.